All three sets of story cubes in a box. Set includes "Original", "Voyages", and "Actions". Roll the dice and tell a tale. 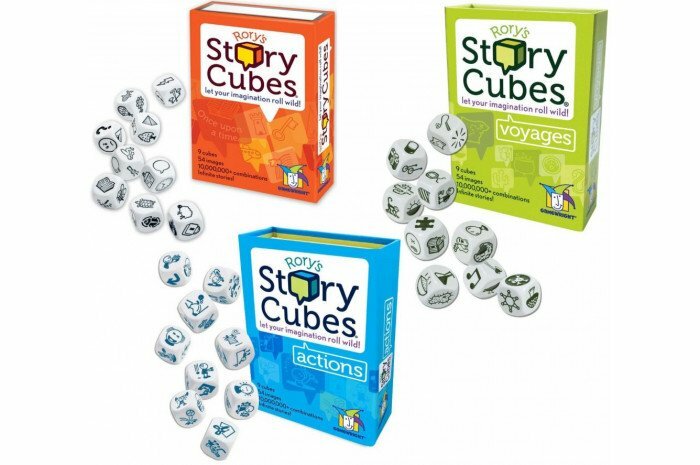 Only pictures, no words on these cubes are perfect for most ages. Dr. Toy 10 Best Games Winner. I bought this as a request from my daughter who is employed at the The Dakota Boys Ranch in Fargo, ND. One of the teachers had several of these on her wish list- so I bought 4 from them. Feedback from them is that they love them- the kids love them. Thanks.